It's just so different. Of course there's elves, stories of toys and flying reindeer, festive scenes and a meeting with Santa, but Jingle Bells is actually more of a game that gets everyone involved and working together. Christmas is about enjoying being with your favourite people after all, so taking part in an activity together, rather than just wandering around after your child, is such a good idea and means that everyone is involved. 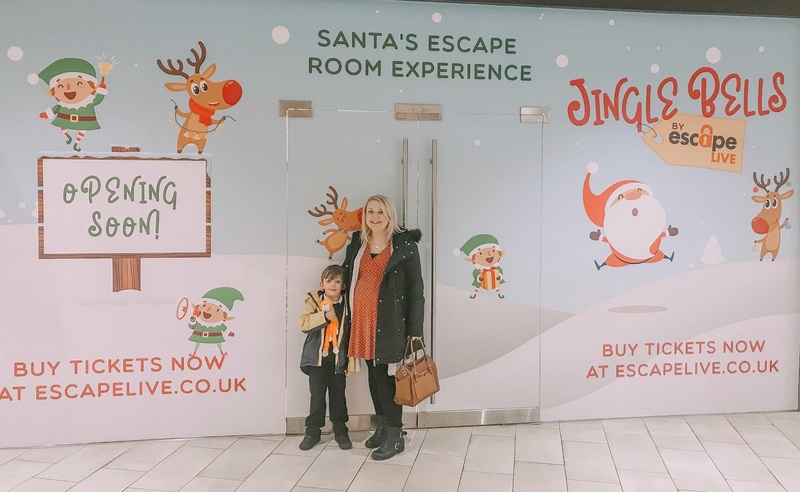 Seeing Santa shouldn't just be for kids! Ethan got into the theme of everything, and as he loves mysteries and stories, enjoyed playing detective - and keeping an eye on the clock! The kind team at Resorts World Birmingham also invited us to dine at Miller and Carter after our Santa visit. There's lots of fab restaurants, with cuisines from around the round and including a brand new Zizzi, so whenever we have been there before, we've made a day of it; usually cinema (it's super big and even has a Starbucks inside! ), a spot of discount shopping and then a bite to eat. 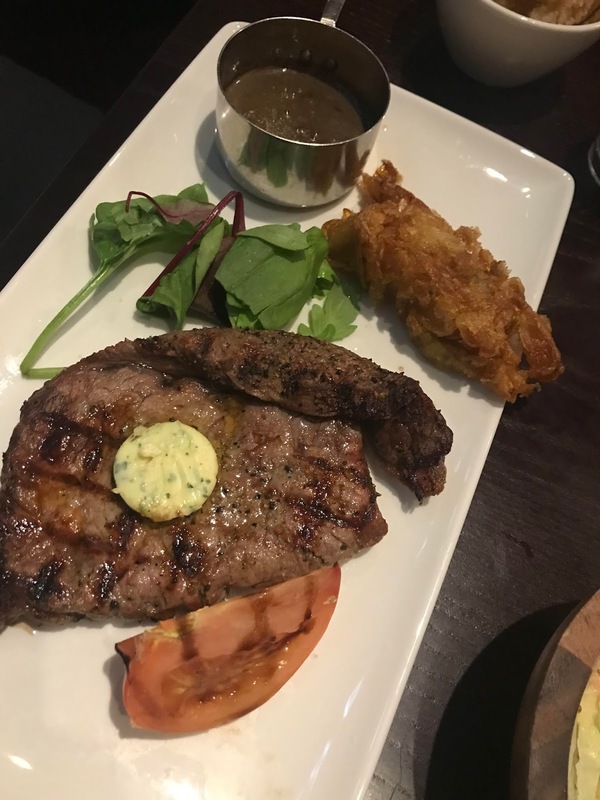 We really like Miller and Carter - best steaks around! 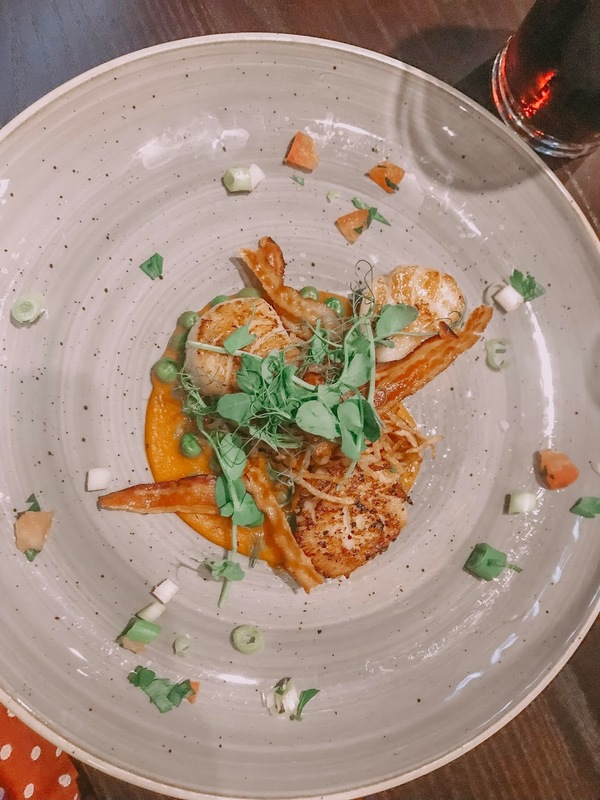 - and it is child friendly, whilst also being somewhere you can go for a special occasion or date night; the view of the lake is really lovely at this restaurant. 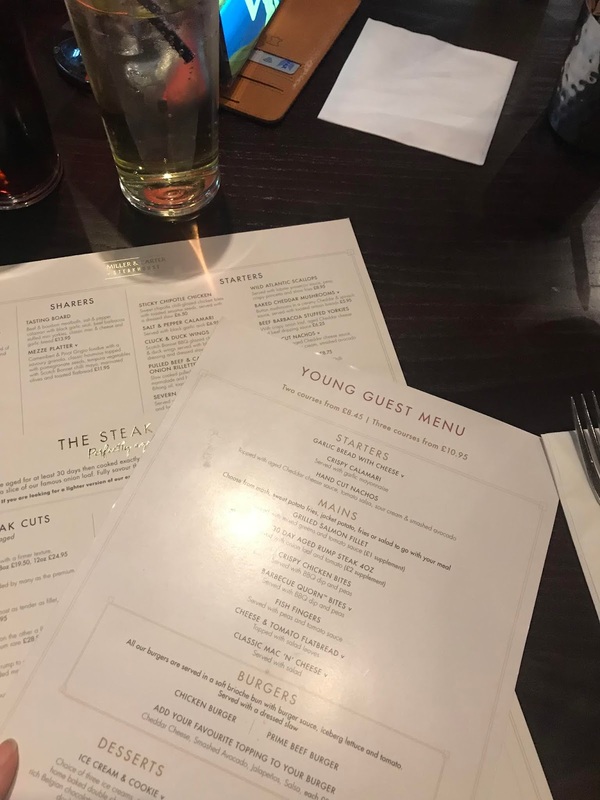 The kids menu has fancier versions of all the classics, including chicken nuggets, fish fingers and pizza, so Ethan was happy, and hubs and I both enjoyed a steak the way we like it, which comes with a wedge salad, onion loaf, choice of potatoes and your sauce preference too. Add a lobster mac'n'cheese on the side, and I was really in heaven! We decided to push the boat out and celebrate, as it could be the last time we go out like that as a family of three, and could not fault the service we had. There were two lovely ladies taking care of us, chatting with Ethan and giving him colouring in to do (happy child, happy parents!) and the other being very attentive. I wish I had noted their names, but they added to the whole evening. 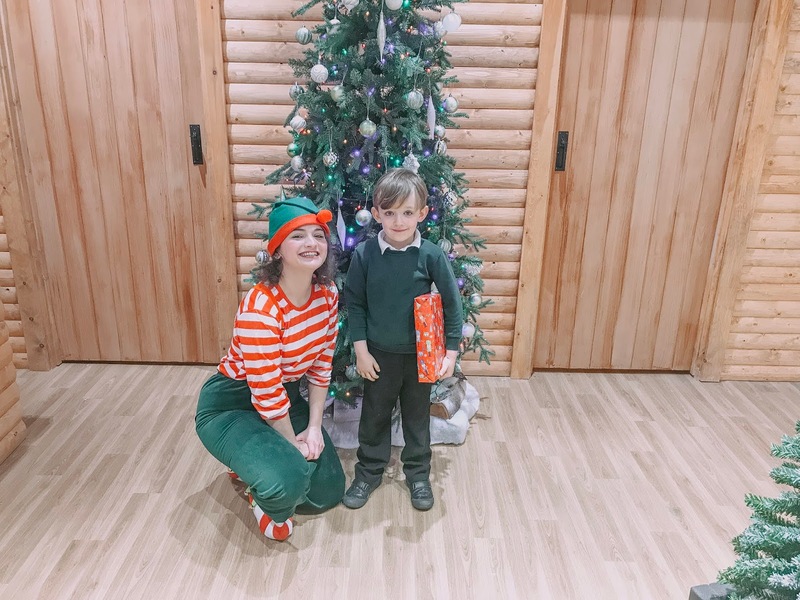 Overall, Monday was a very different kind of Monday for us and it really helped us to feel festive and start of this most wonderful time of year in the best possible way. 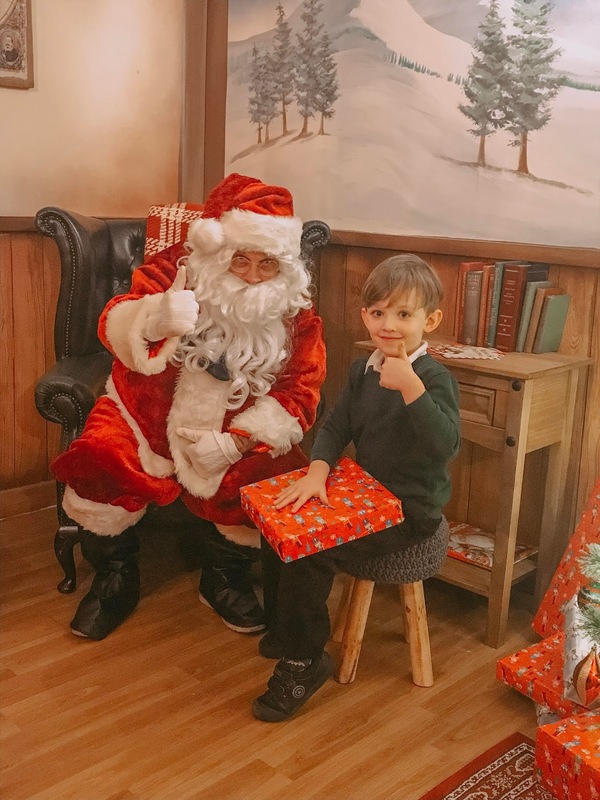 Ethan loved the Jingle Bells activity, as did we, and seeing Santa and having such a good chat is something that he hasn't stopped talking about since. 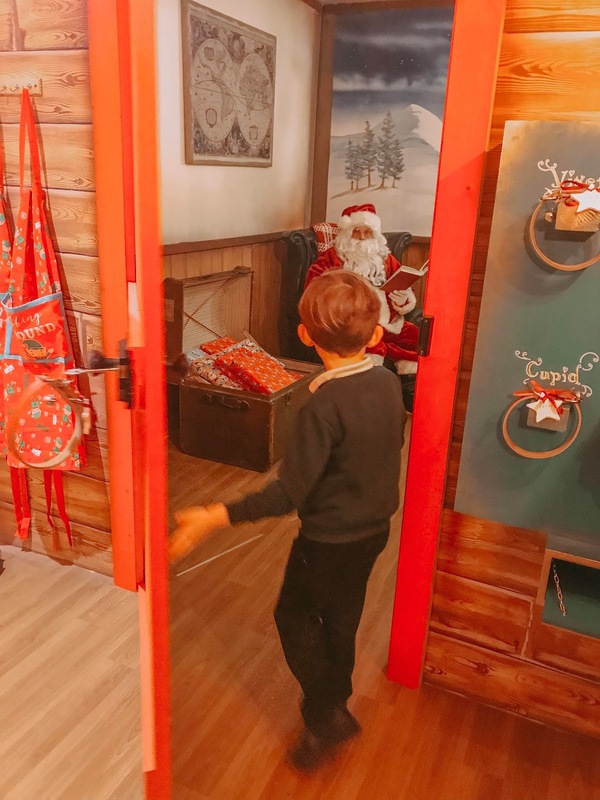 Jingle Bells opens on Monday 12th November and will run throughout the Christmas period. A family experience for a group of up to four people will be priced at £40 Monday-Friday and £45 at weekends. Experiences must be pre-booked and can now be made at the Escape Live website, www.escapelive.co.uk. 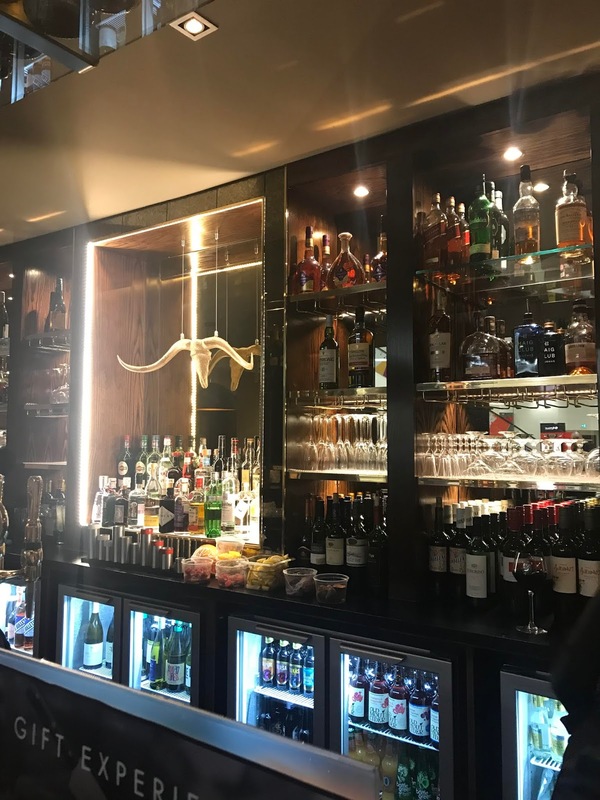 * We were invited along to Jingle Bells for purposes of review, and had part of our meal at Miller and Carter gifted too, but all opinions are always our own.